If I had to recommend only one cookbook, it would be the Joy of Cooking (available via Chapters.ca, Amazon.ca, and Amazon.com, and now there’s even an an app for that). This cookbook has been around since 1931 and it remains an indespensable resource. I like to give it as a sending-off or housewarming gift for young adults setting up their first place. I always keep an eye out for extra copies at thrift stores and garage sales — and although it’s not a common find (most people keep theirs even if they’re decluttering), it has been in print for eigty-six years now so there are many copies out there. My mother has the 1981 edition, which is the copy I grew up with, and after I moved out on my own I bought a 75th anniversary edition (2006). Over the last decade or so, secure in what I thought was a decent grasp of the basics, I was often tempted away from my Joy of Cooking by the Internet, library books, and my own fairly substantial collection of cookbooks. It’s just been in this last year or so that I’ve gone back to using it on a regular basis, mostly because I am determined to learn new techniques and recipes in order to break free from the slog of same-old, same-old. What I know off by heart about cooking is only a small fraction of this book. 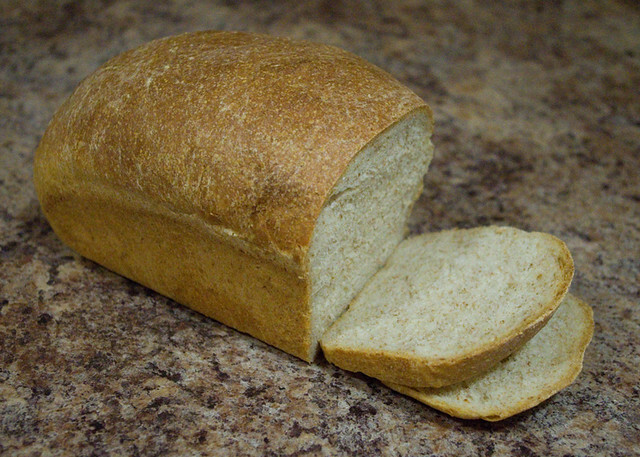 When I decided to learn how to bake my own bread (which, quite frankly, I found intimidating), I went back to my trusty standbyes. 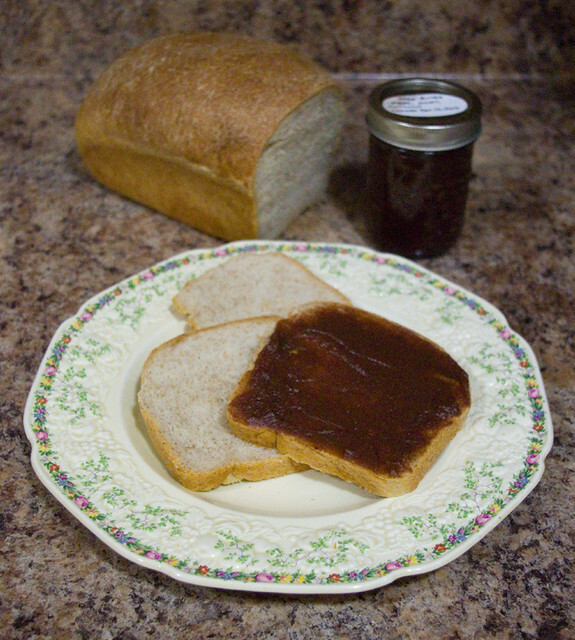 Fast Whole Wheat Bread with homemade apple butter. 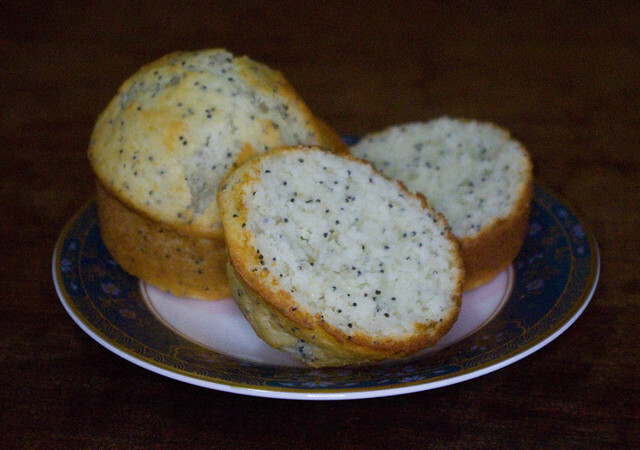 My mother had also mentioned that she’d been craving lemon poppyseed bread, and so, emboldened by my success with the bread, I whipped up the Lemon Poppy Seed Muffins (page 635, 2006 edition). I didn’t have any fresh lemons, so I substituted lemon juice, and they turned out delicious anyway. Now that I’ve been using the Joy of Cooking more often again, I think I may invest in a digital copy (which contains the entire 2006 edition and then some). I love my hard copy, but I think being able to refer to it quickly while grocery shopping would be extremely useful. Just last week I found ostrich and boar on sale at the grocery store, and I had to Google how to cook them. Ostrich is on page 453 and boar is on page 530 in the edition I own, as it turns out. Posted on February 17, 2017 February 20, 2017 by owntwohandsblogPosted in CookingTagged baking, bread, food, muffins.